Joel Rinsema Kantorei Choral Series | Santa Barbara Music Publishing, Inc. 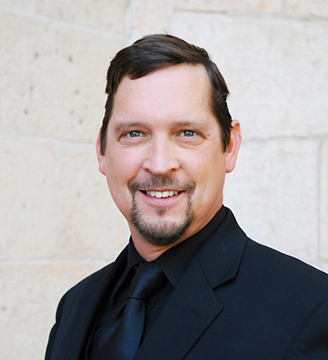 Artistic Director Joel M. Rinsema joined Kantorei from the Grammy Award-winning Phoenix Chorale. Throughout his 23-year tenure with the Phoenix Chorale, he served in nearly every capacity with the organization including the last 15 years as President & CEO and Assistant Conductor. The Phoenix Chorale experienced tremendous artistic and organizational successes during this time. The organization enjoyed financial stability and growth, including doubling season subscription and single ticket sales and individual contributions over the past five years. As Assistant Conductor, Joel assisted in all aspects of artistic planning and leadership. He negotiated an ongoing recording contract with the prestigious U.K.-based Chandos Records, and Phoenix Chorale recordings have earned a total of eight Grammy nominations and two Grammy wins. Joel Rinsema first joined the Phoenix Chorale as a singer in 1992. A frequent featured tenor soloist, Joel appears on all of the Phoenix Chorale recordings and was a soloist on the Grammy Award-winning Spotless Rose: Hymn to the Virgin Mary. Joel is a passionate advocate for the professional choral art form, and he frequently consults with other choral arts organizations locally and around the country. Because of his leadership in his field, he received the Louis Botto Award for “Innovative Action and Entrepreneurial Zeal” from Chorus America, the industry’s advocacy, research, and leadership development organization for choruses, choral leaders, and singers. In addition to his work with the Phoenix Chorale, Joel served as the Director of Music at Church of the Beatitudes United Church of Christ in Phoenix for 15 years, and was the founding chorus master of the Arizona Musicfest Chorus. As a tenor soloist, Joel performed across the United States and in Germany, Austria and the Czech Republic. Joel is an accomplished conductor of major works for choir and orchestra. He was one of eighteen conductors chosen nationally through audition to participate in master classes and workshops presented by the Chicago Symphony Orchestra Association and Chorus America. He holds music degrees from Arizona State University and Whitworth University and considers Dr. Randi Von Ellefson, Dr. Donald Bailey, Jon Washburn and Charles Bruffy his most influential mentors. Infinity Kim André Arnesen SATB div. Pie Jesu Kim André Arnesen SATB div. The gift I'll leave you Kim André Arnesen SATB div. The Lamb Kim André Arnesen SATB div. There we shall rest Kim André Arnesen SATB div.